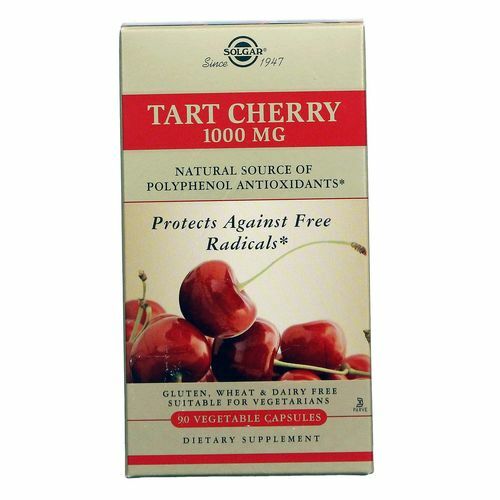 Protect your body from the oxidative damage caused by free radicals with the all-natural antioxidant formula of Tart Cherry 1,000 mg from Solgar. Indigenous to Europe and southwest Asia, the tart cherries used in Tart Cherry 1,000 mg from Solgar are rich in anthocyanins that protect and repair the body from harmful oxidative damage. 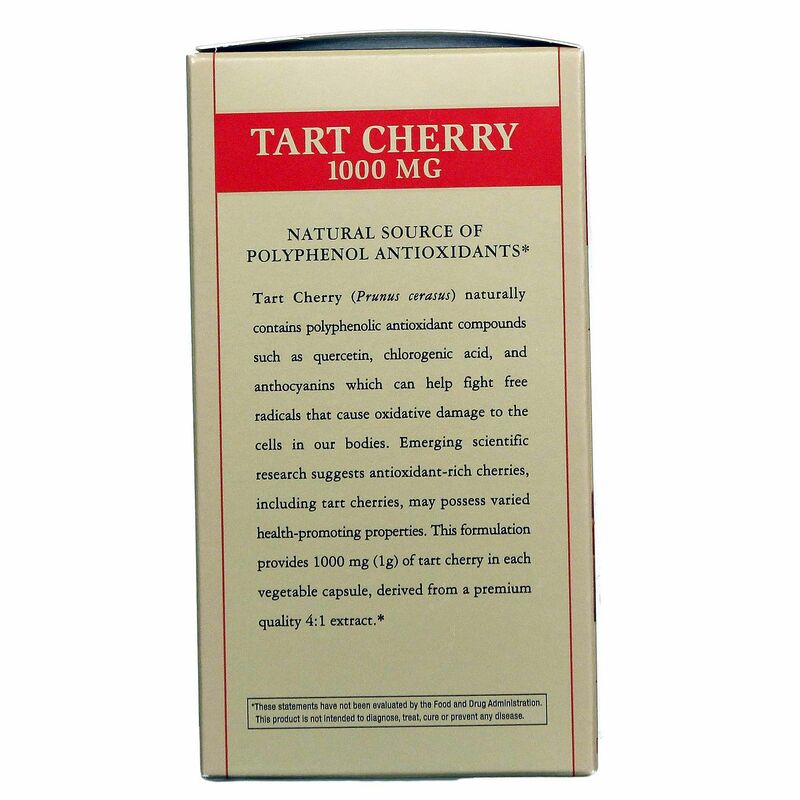 Tart cherry has been used to improve muscle recovery after training and to boost the immune system. It's also believed supplementing your diet with tart cherry juice slows the aging process by protecting your cells and tissues from free radical damage. Give your body the protection from free radicals it needs with Tart Cherry 1,000 mg from Solgar. Order this antioxidant from eVitamins today and save big! Warnings: If you are pregnant, nursing, taking any medication or have a medical condition, please consult your healthcare practitioner before taking any dietary supplement. Keep out of reach of children. Do not use if outer bottle seal is missing, torn or damaged in any way. 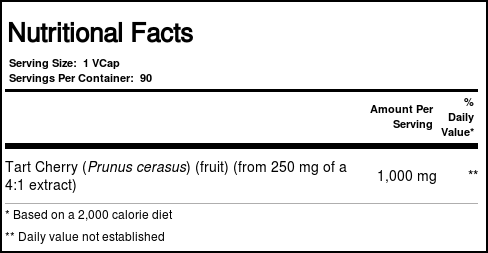 Notes: Contains no gluten, wheat, dairy, soy, yeast, sugar, sodium, artificial flavor, sweetener, preservatives or color. Store in a cool, dry place. 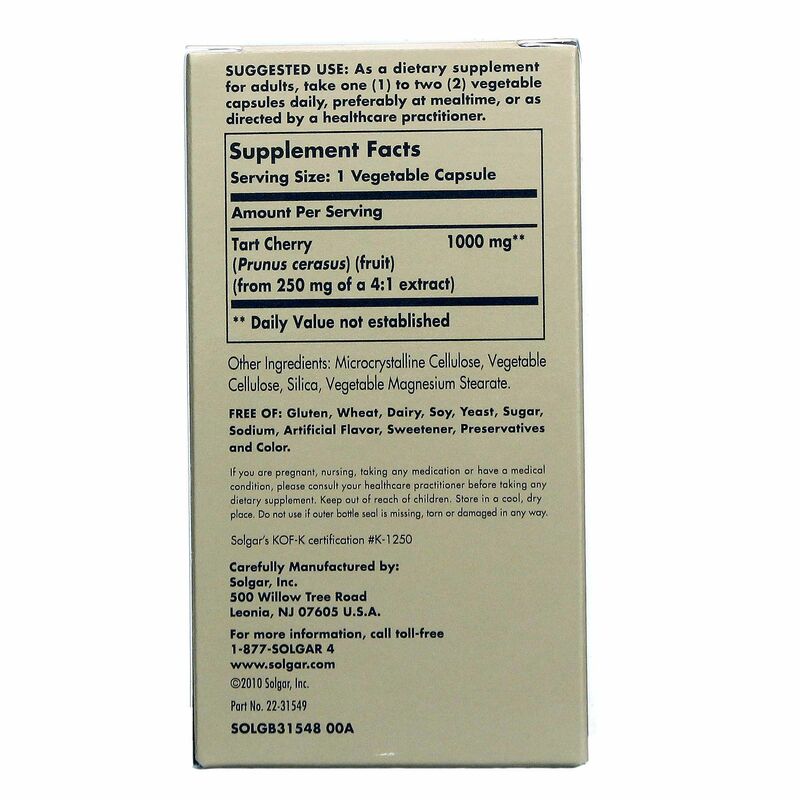 Recommended Use: As a dietary supplement for adults, take 1 to 2 VCaps daily, preferably at mealtime, or as directed by a healthcare practitioner. 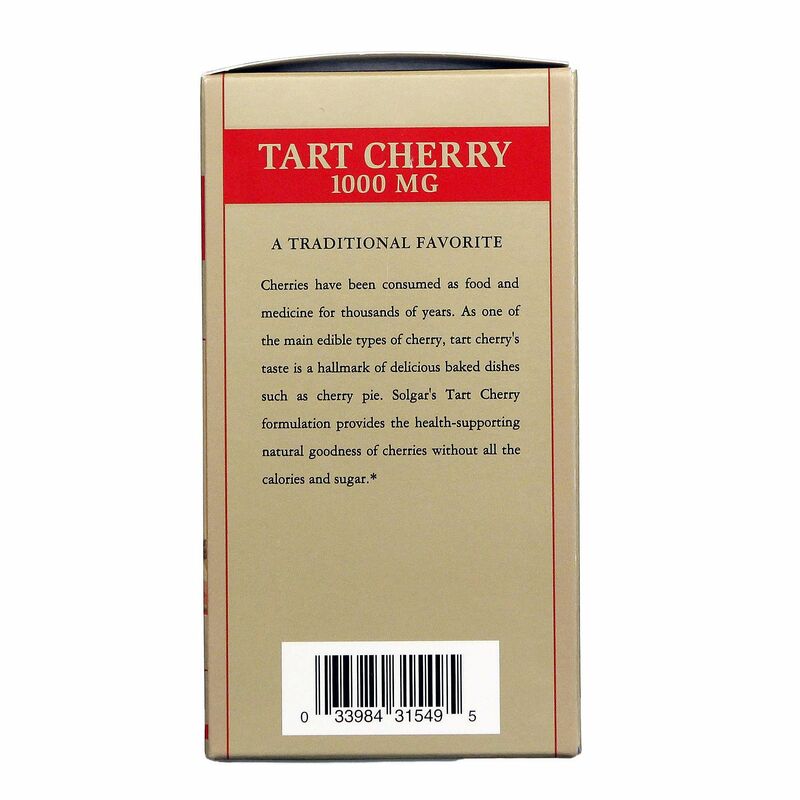 The customer reviews posted below are based on individual consumer experiences and may NOT necessarily represent what expected results will be from using or taking Solgar Tart Cherry 1000 mg - 90 VCapsules. These results may not be typical and you should not necessarily expect to receive the same results. Actual results may vary. I very much like this supplement. I take it in the evening to help melatonin production and to reduce pain.